Hotel Comlex National Palace is a four-star business hotel. Situated in the quiet architectural reserve Dobri Zhelyazkov - the factory man, in the center of Sliven. > 28 double rooms > 4 studios > 2 apartments > 3 VIP apartments The 4000m of the complex also include: *National Palace Hotel **** *Guest House - Chakarova House *Guest House - Bozukova House The house and the first building of the factory was adapted into a restaurant. Our conference rooms are - Hall Maxima with 240 seats and Hall Prima with 40 seats. Kostova cheshma (Kostova fountain) is a small spring under the pathway between Byalata voda and the area of Karakyutyuk, flowing out through thick mixed deciduous forest. The Old Elm in Sliven is a millennial tree - a symbol of the city. It is the winner in the European Tree of the Year 2014. It is of Ulmus carpinifolia kind - a broad-leaved tree with a very well developed route system. It is one of the few remaining of the Great Bulgarian Forest (Silva Bulgarica Magna), which has covered the whole area between the Rhodope Mountains and the Black Sea. The tree in Sliven is more than 1000 years old (probably around 1100). The millennial tree is located in the city center at the beginning of the main promenade and is huge, majestic and beautiful. Part of its stem is cemented to be preserved. 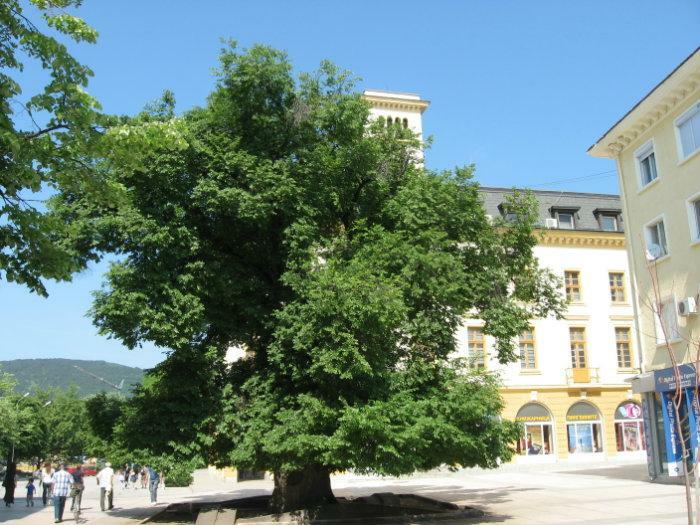 The old elm tree is connected with the history of Sliven since the Turkish yoke: "This is a famous tree and it is without any concerns one of the greatest symbols of Sliven. It is a sacred tree considered as a monument and a symbol of the fight and the high spirit of the citizens during the yoke. This is an important, touching and proud specimen of a disappearing species. It is not proved but some people believe that many young men and rebellions were hung there during the liberty fights"... (Damian Damyanov) Today the tree is common place for setting appointments among the local population. 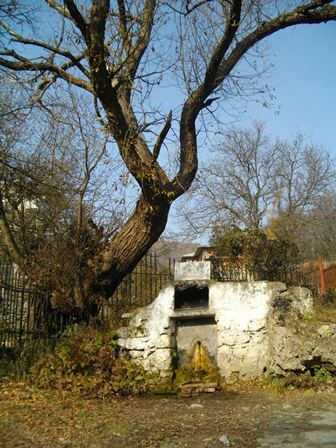 Byalata voda (The white water) is a spring turned into a fountain and located in the upprer stream of Manastirska River, on the pathway to Balgarka Mount and Daula. Haidushka cave (Haidouk cave) is another landmark, located about 300 meters away from the Peschenik peak, just below the ridge, between Kosmatovets , in a rare oak forest,between two stones. Sveti Georgi i sveti Todorovoto ayazmo (St. George and St.Theodor's springs) are holy springs located at Barmuk peak in the pine forest above Sliven, near the ruins of the medieval church dedicated to St. George and the area of Selishteto, to the left of Manastirska river,on the path to Marinino gradishte, southwest of "St.Todor" church which used to exist in the Middle Ages. Kominite (The Chimneys) are knife-edged, upstanding peaks of quartz-porphyry, rising in the western slopes of Mala Mountain, formed due to natural, organic and chemical weathering. Enyova bulka ( The bride of Enyo) is a rock formation located in the western slopes of Kosmatovets Mount near Sliven-Ichera road. It rises among bushes of winter and hairy oak and hornbeam. It is formed due to denudation processes. 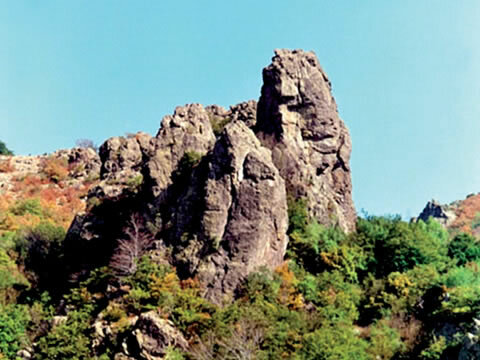 Nearly 7 meter high rock resembles a woman, the rock next to it - a man who has come down to earth and the stone mass – a group of fossilized people. It is believed that there is a connection between this rock phenomenon and the story of the Enyova bride who had a bet with the Sun. Sliven Peschenik cave is a very interesting, two-floor cave.A small cave in the rocks of the homonymous peak, on the west, in its highest part. Declared a natural landmark.The first floor resembles a round arched cloistered cell. Stalactites and other limestone formations make it look unique. The second one is vaulted, about two meters down, slightly larger than the first one.It is believed that the old haidouks were once hiding there. Skalata na smartnoto nakazanie (The rock of the death penalty) is a steep pile of rocks rising above the surrounding vicinity. Located south of the Futula waterfall , along Ravna River, between Halkata and Sechenata skala, in the area of the ancient Marichino gradishte. According to the legend, it used to be a slave cemetery. The exhausted Thracian slaves /at the time of Roman Empire/ knew there was no mercy for them – they were pushed down from the top of the rock , on the pinnacles over the river. Zmeevi dupki (Dragons' holes) is the largest and most remarkable cave in the eastern part of the Balkan, with a length of 150 m, 1 ha area, located about four kilometers east from Sliven in the glin of Maara dere / Zmeeva River/. Rakavichkata i kuklite (The Glove and the Dolls) are unique rocks, as if carved sculptures. Located within Kutelka reserve. 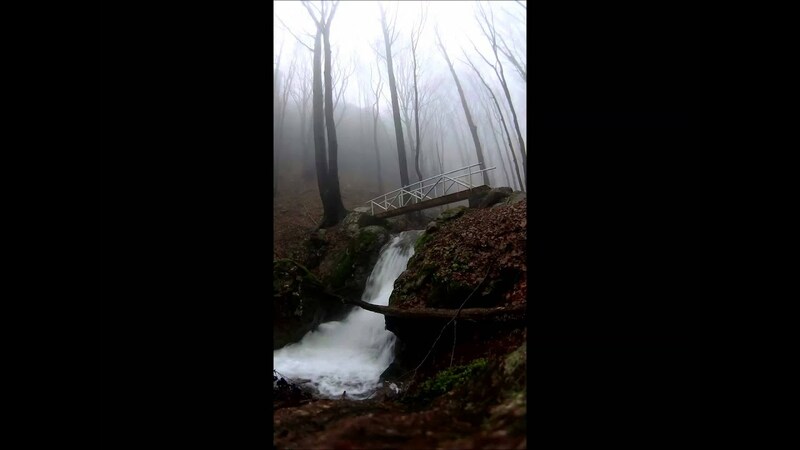 Belite Izvori ("White Springs") - swift-flowing mountain springs located northwest of Mount Golyama Chatalka , on the pathway to Mala Mountains. Declared historic sight. Kushbunar - mountain spring located about 1050 meters above sea level and amidst 400 year old beech- and coniferous trees. A rarely picturesque spot, famous for its healing vitues and known from Thracian times. Traditionally,on 19 August /Transfiguration of Jesus is annualy celebrated on this date/ sick and healthy people immerse into the water in the hope of a long life. The spring is also known as haidouk gathering place with unbelievable vital powers – it is believed that it rejuvenates old eagles and turns eaglets into strong birds. Cherno kamene cave is a cave in the rocks next to a small, beautiful waterfall in the bottom of Cherno kamene gorge, over the area of Mochurite. 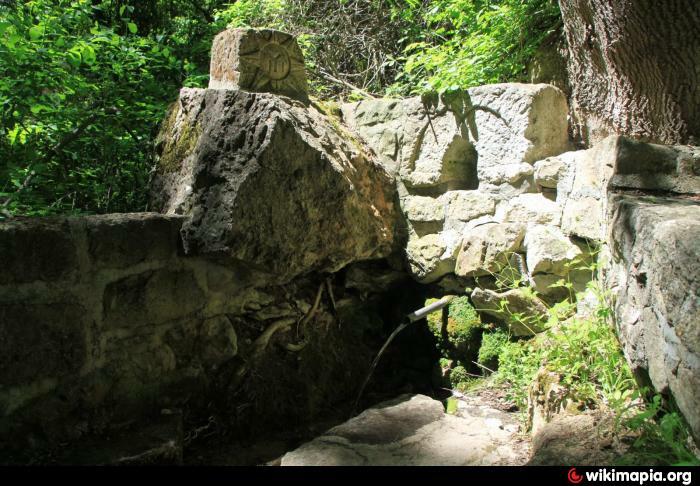 Gunchov spring is named after Guncho – Bulgarian revolutionary leader. 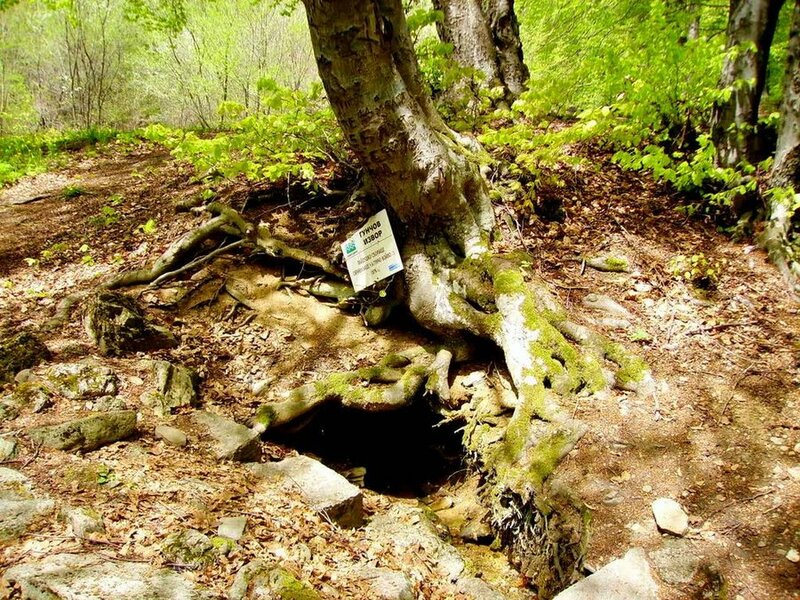 The spring is located on a huge beech on top of Ravna River. In all probability it was the favourite place of the legendary leader. Spring with a name of a national hero - such a phenomenon is not so often encountered. The place is one of the monuments of the struggle for national liberation of Bulgaria. Bachvata Cave (The Cask Cave) is a cave located in the central part of the park on the north side of the famous rock Bachvata. A unique natural phenomenon. It is situated at about 1.5 m above the surrounding terrain, in the rocks themselves. Its form resembles a furnace measuring 2 by 2 and 2 m height, cutting into two chimneys. There is also a fourth hole, resembling a window. It is declared a natural attraction. Archangel is a spring whose crystal waters are gushing from a huge gap for which it is said to be created by God. Located northwest of Mount Peschenik, at the eastern skirts of 'Zhaltite skali ' , in the upstream of the Golyam Djendem River, among century-old beech forest.